Join one of the nation’s largest comprehensive neuroscience programs. OhioHealth’s Neuroscience practice in Marion, Ohio, is expanding. We are hiring two physicians interested in clinical and hospital coverage to join our existing team. There is an opportunity to quickly develop a busy outpatient clinical practice encompassing the full spectrum of neurology patients. The neuroscience team is supported by a robust multispecialty group of physicians practicing in Marion. Rotation to OhioHealth Marion General Hospital would be 1:4. The hospital is Primary Stroke Certified and has advanced facilities for neurological testing and monitoring, offering a full range of neuroimaging, therapy, neuropsychology, sleep lab, as well as comprehensive EMR coverage. The hospital is supported by telestroke and long-term EEG monitoring so there is no expectation of stroke call or status call. OhioHealth Marion General Hospital is a 250 bed hospital that provides comprehensive care close to home for thousands of patients in Marion County and surrounding communities. OhioHealth Marion General physicians are known for the exceptional care they provide at this community hospital, which has grown into a regional referral center, offering services and care traditionally found in much larger hospitals. We are a member of the OhioHealth system, which consists of eleven member hospitals. Truven Health Analytics has also named Marion General Hospital a 50 Top Cardiovascular Hospital. Marion General's Heart and Vascular Program is nationally recognized by The Joint Commission and the American Heart Association for its quality and patient satisfaction. 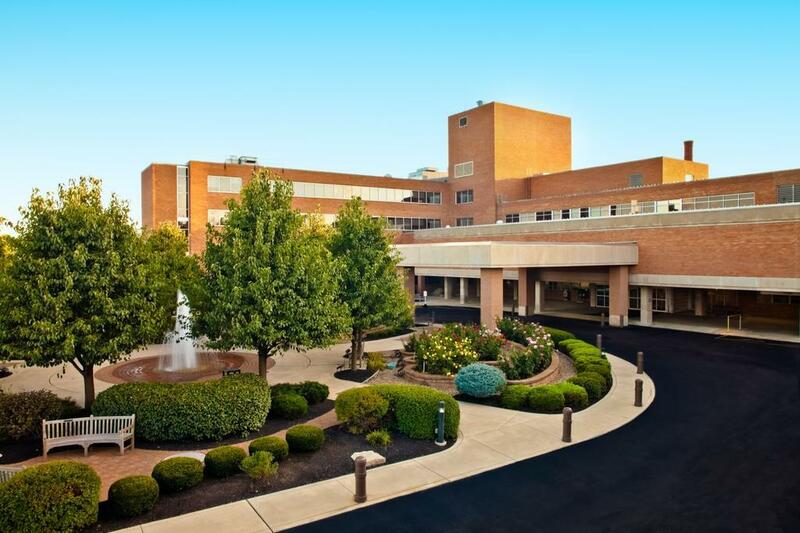 Our open heart surgery program, along with the ability for angioplasty, cardiac catherization, and electrophysiology, provide patients in north central Ohio a local destination for comprehensive and state-of-the-art heart care. Annually, more than 2,550 cardiac procedures are performed. The Center for New Beginnings at OhioHealth Marion General Hospital features a Level II nursery, with board certified neonatologists and staff who are trained in treatment programs for select high-risk mothers and newborns. Coupled with our board-certified obstetricians, pediatricians, anesthesiologists, highly-skilled nurses and state-of-the-art technology, our center provides exceptional obstetrical care for you and your baby. OhioHealth Marion General uses a multi-disciplinary team approach to behavioral healthcare. Nurses, social workers, therapists and other team members work together with our physicians to provide services, including acute inpatient adult mental health hospitalization, as well as partial hospital and intensive outpatient services. The Emergency Department at OhioHealth Marion General treats 50,000 patients a year and includes 23 private treatment rooms, an expanded waiting area and a dedicated treatment area for handling less severe illnesses and injuries. Marion General is an Accredited Chest Pain Center by The Society of Chest Pain Centers, a national patient-centered society with a focus on the importance of rapid diagnosis and treatment for those experiencing chest pains.